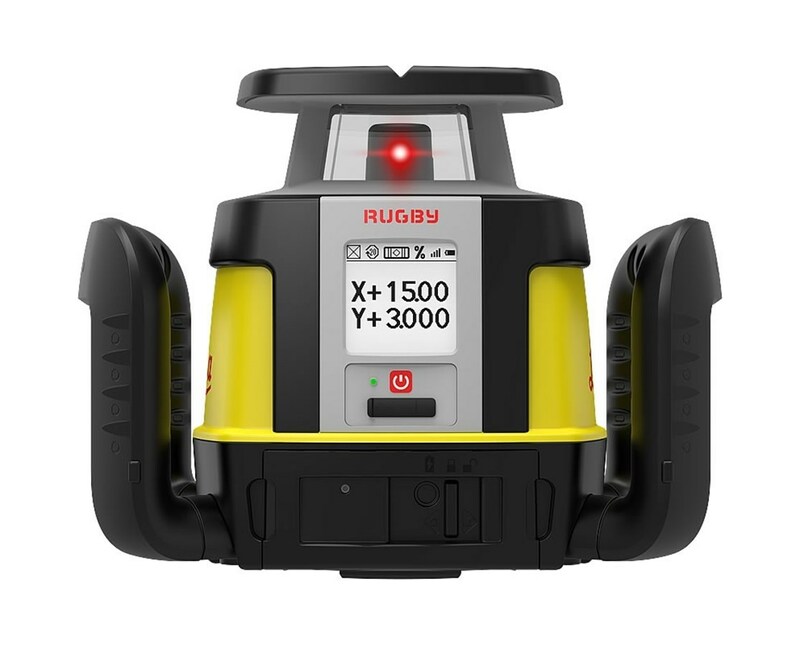 The Leica Rugby 420DG Dual Grade Laser is a fully automatic, self-leveling laser with an enhanced operating range up to 3,600 feet with a laser receiver. Self-leveling within ±5 degrees, this dual grade laser is designed for applications such as land leveling, tiling, and other construction applications. It features dual grade capability of -5 to +15 percent in both axes. Also, it offers an accuracy of ±1/16 inch at 100 feet. For precise operations, it features high-speed variable rotations of 5, 10, 15 and 20 rotations per second. The Leica Rugby 420DG also comes with wind sensitivity settings that make it possible to work under adverse conditions. For multiple laser usage, it includes a beam masking function that electronically shutters the beam. Plus, it features a direct-grade entry. 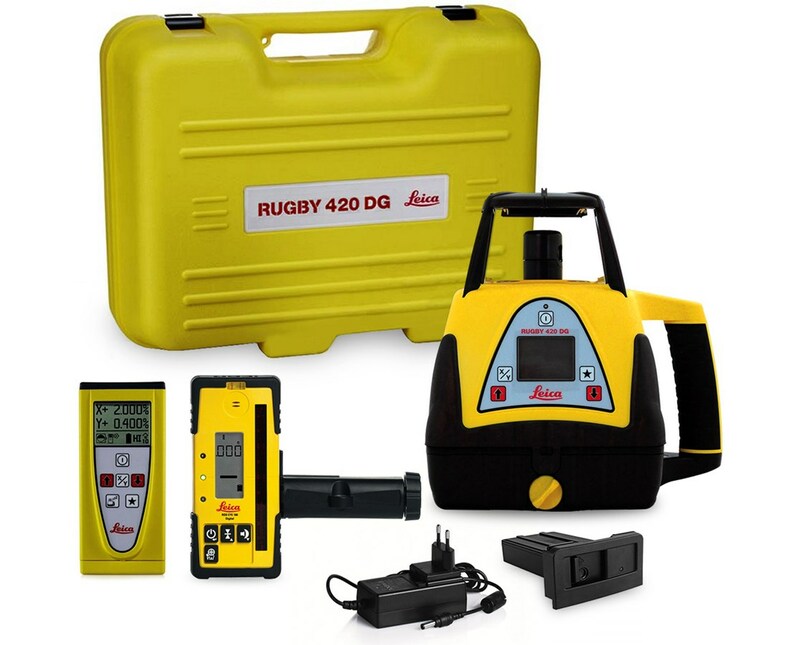 The Rugby 420DG has an IPX7 water resistant rating that protects the device from rain and water splashes. 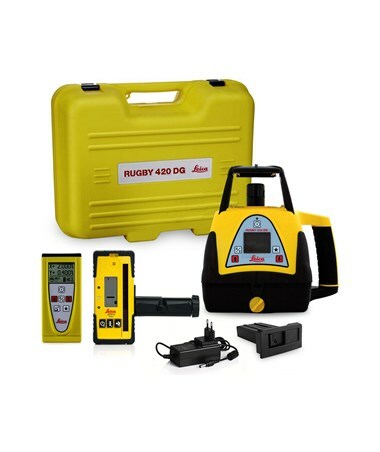 Using alkaline batteries, it allows the unit to run up to 130 hours and up to 100 hours with rechargeable NiMH batteries. 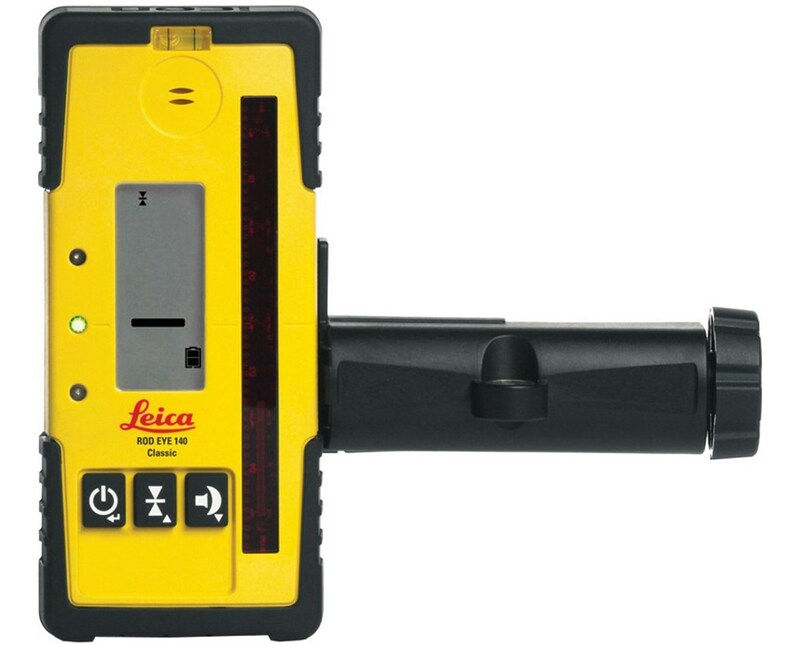 In addition, it uses a 635-nanometer visible red laser. 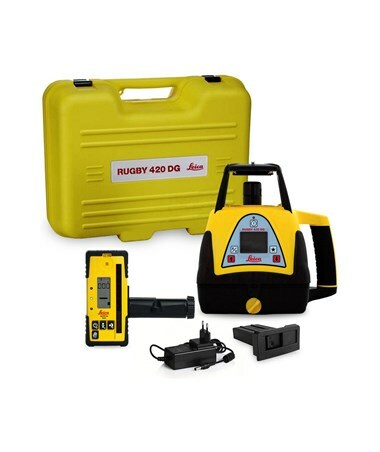 The Leica Rugby 420DG Dual Grade Laser offers four different packages with varying laser receivers and optional remote control. Please choose from the drop-down menu above.